The Yungas area I remember was a highland cloud forest, verdant and full of intrigue. The Yungas I remember held waterfalls and streams with boundless butterflies and singing tropical birds. 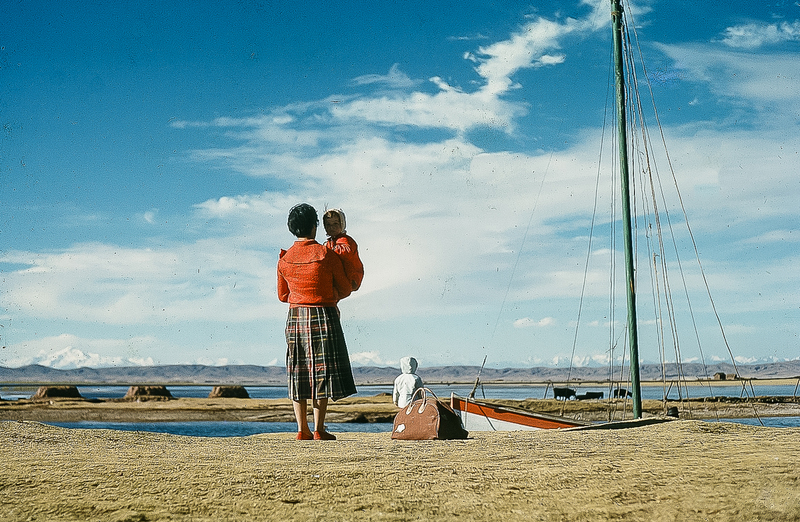 Hidden Inca paths and sleepy Aymara towns that whisper of a time past that still exists today. It was one of my mother’s favorite places to visit and part of this journey was to retrace the steps that I had taken with my mother many years before. Adventure is in the family blood and even as an infant I was traveling the highlands of Bolivia becoming part of the landscape. And Yungas is one of those places that I remember well. Remote and untouched the small towns hung to the steep verdant mountains. Spending the night in Yungas to begin our acclimatizing to higher altitudes, Coroico is a waypoint town that is busy with traffic coming from the La Paz region to the Amazon basin of Bolivia. Tucked inside the market area is large warehouse where you see the coca leaf being sold in bulk. Huge bags holding the green leaf that is used by the local culture for easing hunger and fatigue as well as in traditional ceremonies. A leaf that is quite misunderstood as there are two types of Coca plants. One is the smaller leaf version which is sweet in nature and grown in the Yungas region. This is the leaf used by locals for chewing and traditional uses. The other, larger leaf is the one used for processing cocaine and is grown in the southern lowlands of the Chapare region. The morning was fully socked in with fog and clouds so following breakfast we drove through Coroico to visit one of the nearby waterfalls. San Juan Waterfalls is one of three that are relatively close to town and its strong waters cool you with mist. 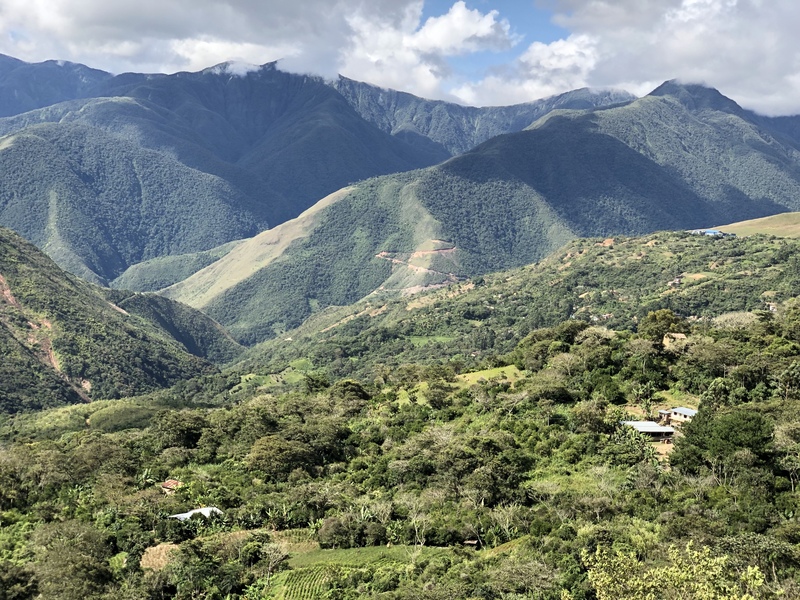 A little known fact about Bolivia is the number and variety of butterfly species it holds in the Yungas area, Madidi National Park and Santa Cruz region. Home to over 3,000 species and still counting, Bolivia is rich in biodiversity that is yet to be fully discovered. Alas, we didn’t spend too much time in Coroico as it was just to be a layover before heading to our next elevation gain stop in La Paz. It was time for us to head up the mountains and to continue our journey. I remember that photo of a woman holding a child. Is that you? Do you have to chew on these coca leaves for altitude balance? You’re right Perpetua as I had posted this picture before. I’m assuming that’s me, but it might be my two older sisters in the pic. I use Coca tea with the leaves. The locals chew the leaves with an activator which is usually a type of ash. No way would I chew it. Ick !! Thank you so much for sharing these childhood memories. I read and viewed these wonderful scenes with a bit of trepidation, as I had the sense that you would soon tell us about the negative impact of “modern” society. I hope this beautiful landscape remains as pure today as it was in your childhood! Incredibly so, the Yungas area we saw was still pristine and not overcome with development. It was special to see the primary forest area. Such beauty. I love hearing about your childhood memories and am so grateful that this magical place is still safe from development. The landscape is breathtaking. Well, the development in the country is growing and the government is so corrupt. The country has so many contrasting landscapes that each place you go it’s so unique from the one before. Thank you for being such a wonderful friend Terri.